In real life, people leave the bustle of city life for the country all the time. Turns out, that phenomenon happens even in digital places like GTA Online, too. 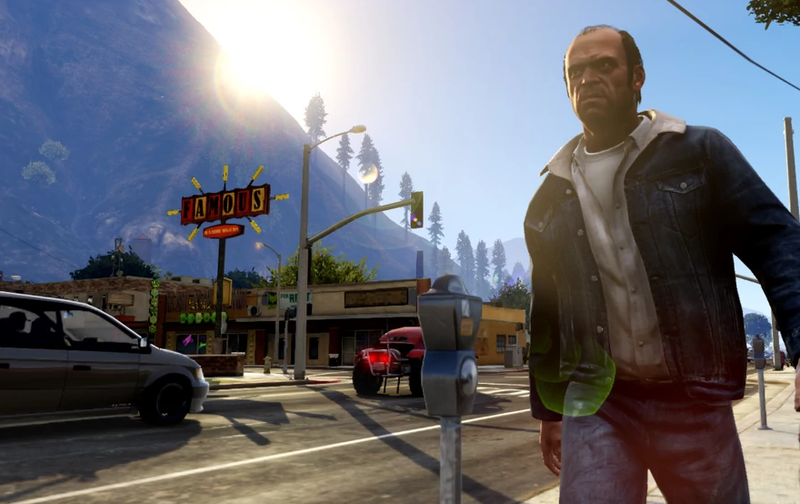 GTA players sometimes choose sleepy neighborhoods to avoid crime at their doorstep, but recent updates have turned the real estate market upside down. In GTA Online, players have one main goal: earn money. That money can be used to buy all sorts of things, from cars to guns. Players can also invest in a home, where they can take a shower, start a heist or invite some friends over to just hang out. As you might with a real house, buying a dwelling is about finding something that fits your needs, budget and lifestyle. Early on in my GTA Online career, I would drive around Los Santos with my friends to house hunt. We didn’t have much cash at first, which meant that we were stuck buying crappy apartments in the bad parts of town. And because homes and apartments in GTA Online can be owned by multiple players at once, these cheaper domiciles were always busy with low-level players who all had itchy trigger fingers. Going home meant getting shot, again and again. In those early days of GTA Online home ownership, I used these circumstances as motivation to save up and get a better place. Where many ended up was Paleto Bay, a woody area filled with trees, hills, and not much else. Despite being a small town, Paleto Bay has everything a GTA Online player could want: a place to get a haircut, a gun shop for ammo and new weapons, a garage to fix up cars, a clothing store, a tattoo parlor and even a small convenience store located on a nearby highway. You could potentially never leave the rural comfort of Paleto Bay, but if you ever did, there’s also a very convenient helipad located in town. Players love the quiet life of Paleto Bay so much, they post about it on the GTA Forums, they share photos with one another of Mt. Chillad and the nearby ocean, and they speak fondly about some of the NPCs who live there. Discussion about Paleto Bay almost sounds like everyone is a part of a digital tourism board. Within that, some players actually started to worry that the growing popularity of Paleto Bay could one day ruin its charm. Unfortunately, that day seems to be here. In the last year or so, things around Paleto Bay have become more chaotic. First, the 2016 Bikers update added clubhouses farther up north, something that brought more activity to Paleto Bay. The most recent Gunrunning update has also added a relatively cheap bunker right smack-dab in the middle of Paleto Bay. This is causing more crime and chaos to move up north. But the residents of Paleto Bay are putting up a fight against the influx of outside players. One of the most common tactics is to use the beach near Paleto Bay as a “spawn trap”. After a player is killed, they have a good chance of spawning on the beach. Paleto Bay residents use the high ground of the cliff while invaders get trapped on the beach, dying over and over to snipers rifles and machine guns. Paleto Bay residents also use the roofs of buildings as cover against people looking to cause trouble in their rural hideout. Even before the chaos started to move closer to their home, many GTA Online players who loved Paleto Bay were doing their part to protect it. A few of these players created a small group that call themselves the “Paleto Bay Mayor’s Office,” which, while not super active, is meant to help keep the streets clean of trouble-making city folks. The group was founded in March 2015 and has a mayor, sheriff, and other city officials. And while they might have different ideas on how to run Paleto, they all share one thing in common: A love of the bay. As new players move up north, sharing photos of their journey, many in the Paleto Mayor’s Office welcome them to their new home. Of course they also remind those who want to start trouble to stay away or prepare for some local justice. Recently, Take Two Interactive announced that June and July 2017 were some of the best months in GTA Online’s history, meaning that it’s very likely the game will get more updates. It is probably only a matter of time before Paleto Bay is filled with more activities and events. When that happens, perhaps players up north will grow sick of how their neighborhoods are changing. Maybe they’ll move somewhere else. Maybe the next hot spot will be the deserts near Sandy Shore, or the rural town of Grapeseed. Or maybe, a few of these folks will give up trying to avoid chaos in a game like GTA, and just return to the city.